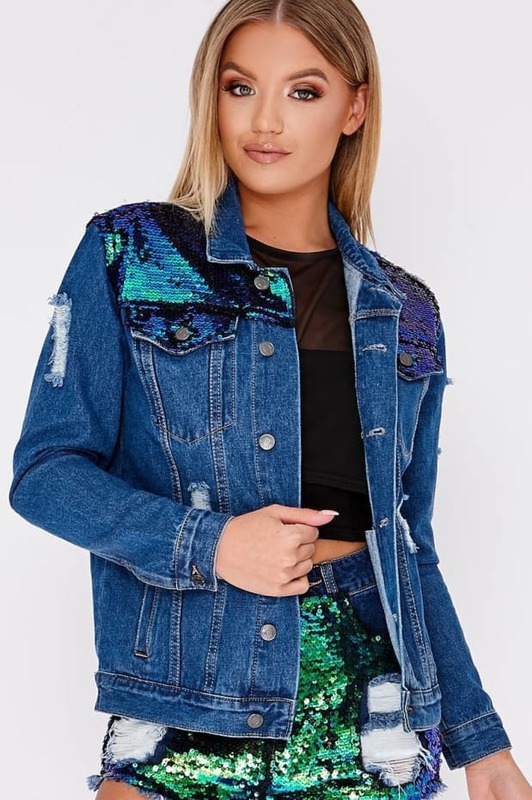 Be a denim queen this spring wearing this luxe jacket! 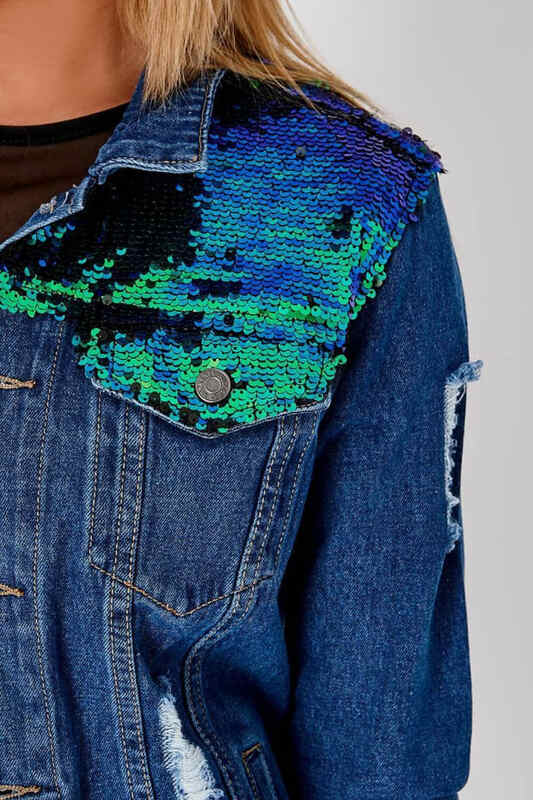 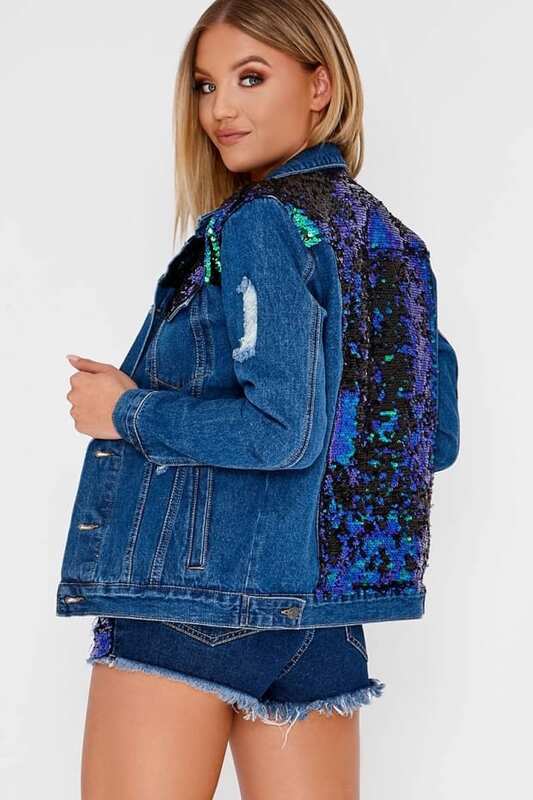 Featuring incred green and blue sequin detail and cool distressed detail, this denim jacket will seriously amp up your festival style! 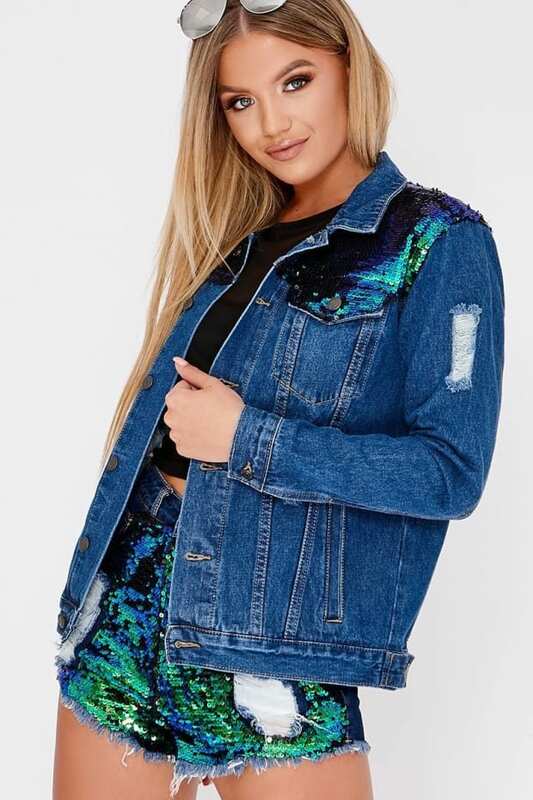 Go for the matching denim shorts for an envy worthy look!